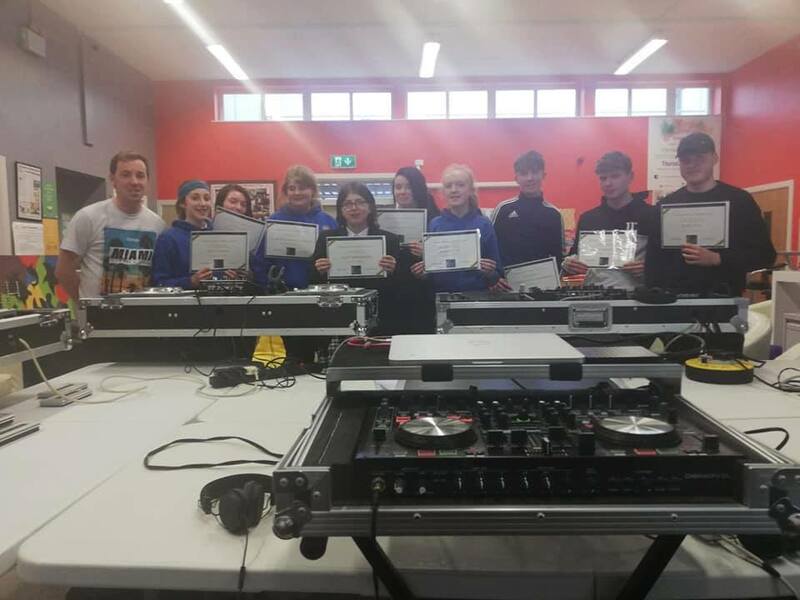 We recently had the pleasure of providing a How To DJ Course | Workshop at Youth Work Ireland Centre in Tuam, Co.Galway. The workshops and DJ Classes ran for 4 weeks with a groups of 10 Students who were interested in learning DJ Tips, tricks and skills. Our how to become a DJ course started with the very basics of DJing with our taster session. The curriculum of the course included how to setup the gear, what exactly a DJ is, fundamentals of what a DJ does, beat matching, Looping, pitch riding & mixing songs together. On the final night we had a DJ Competition where each student got the opportunity to showcase the skills they have learned over the course of the 4 weeks. It was a very enjoyable DJ Workshop with a great group of teenagers and we are really looking forward to returning over the summer to run a DJ Summercamp for Tuam Youth Services.